Are you looking for a business theme or a personal theme that has an outdoors feel? If you are, I have a theme that will work for you. StudioPress Themes just released a new theme (Backcountry Theme) that has a professional feel to it but, with the right images, would look great for an outdoor themed website or almost look would look with this theme. If you are not sure, it would look good as an outdoor site, just check out the demo. The demo is loaded with outdoor images. On October 26th StudioPress announced the release of the Backcountry Theme 1.0 child theme. This theme is beautifully designed and will work for almost any niche. 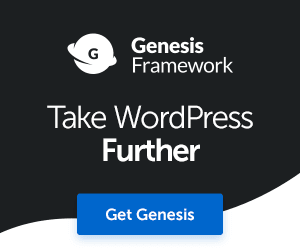 In order to use this theme you must already have already purchased the Genesis Framework. If you do not have the framework, there is an option on the info page to purchase the framework with the child theme. Backcountry Child Theme has a great set of features that can be used a long with the already great features included in the Genesis Framework. The additional features you get with Backcountry is four theme colors (blue, gray, green, and ready), six layout options, custom header, featured images, custom back ground, footer widgets, and threaded comments. Check out Backcountry Theme Child Theme for more information and to take it for a test drive. As I mentioned before, in order to use Backcountry child theme, you must already have Studiopress Genesis Framework installed. Even if you are thinking about another child theme from StudioPress, that child theme will require the Framework as well. All themes by StudioPress require the Genesis Framework. Studiopress Genesis Framework is a rock solid set of codes for WordPress designed to make it easy for you to setup your site the way you want it. The framework is designed so you can create your own themes easily or use one of their premium turn-key designs. When you purchase the Framework, you get unlimited support, unlimited easy updates, and you get lifetime access to the support team and staff.